South Carolina: The York County minister arrested last week on three child abuse-related charges could face a return to federal prison, where he served seven years for stealing millions in a religious investment scam. Federal prosecutors who proved The Rev. Johnny William "Bill" Cabe swindled churchgoers out of more than $8 million have confirmed that Cabe was arrested on new charges. 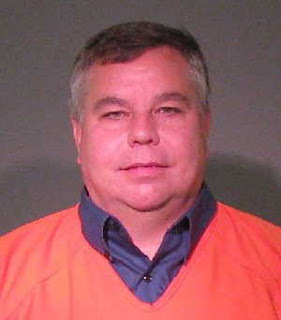 Cabe, 50, was convicted on 26 counts of taking more than $8 million from investors in a scheme that brought convictions upon another pastor from Gastonia, N.C., and two other swindlers from England. Cabe, who lives in York, was released on $12,000 bond on charges of unlawfully practicing medicine, contributing to the delinquency of a minor, and committing a lewd act on a child under 16. Sheriff's deputies allege Cabe illegally touched an 11-year-old boy and gave the boy a cell phone communication card after a caretaker cut off communication between Cabe and the alleged victim.